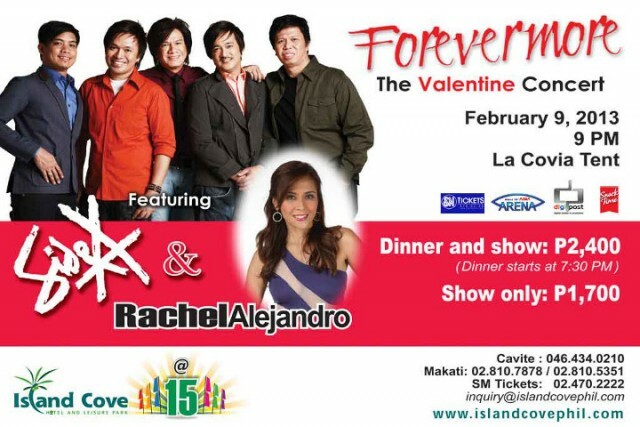 Watching one of the many Valentine's Day concerts is a surefire romantic way for lovebirds to celebrate Cupid's anticipated time of the year, Valentine's Day. 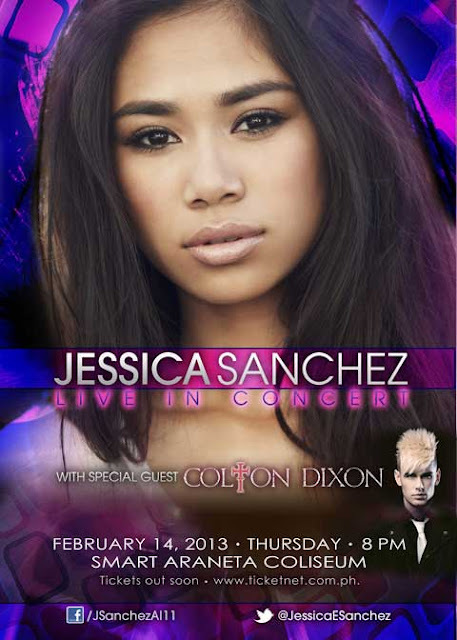 I would love to celebrate Valentine's Day with a big bang if budget permits. 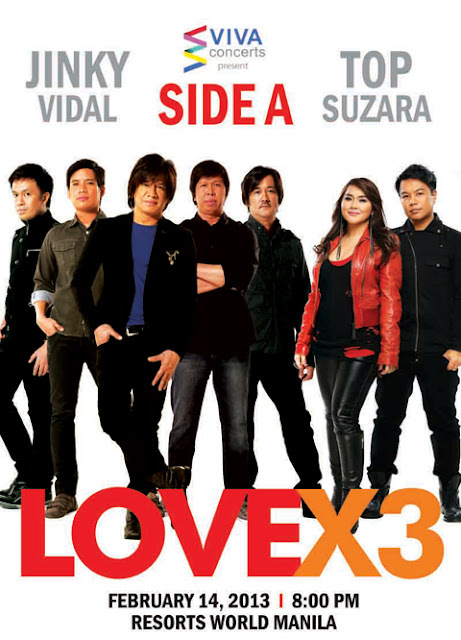 This Valentine's Day, I'm using a FREE voucher (I won in our company contest) for a dinner buffet for two (2) at Circles in Hotel Shangri-La. I hope hubby treats me to one of these concerts in Manila. 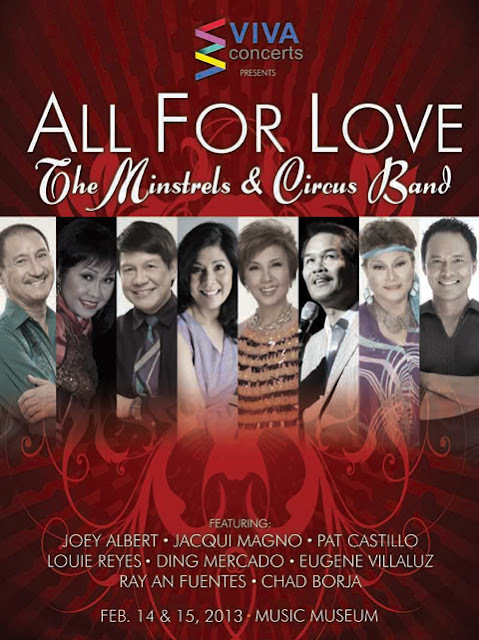 Viva Concert presents ALL FOR LOVE The New Minstrels & Circus Band on Valentine’s day February 14 & 15, 2013 featuring Joey Albert, Jacqui Magno, Pat Castillo, Louie Reyes, Ding Mercado, Eugene Villaluz, Ray An Fuentes & Chard Borja. For ticket inquiries, please call 721-0635, 721-6726. 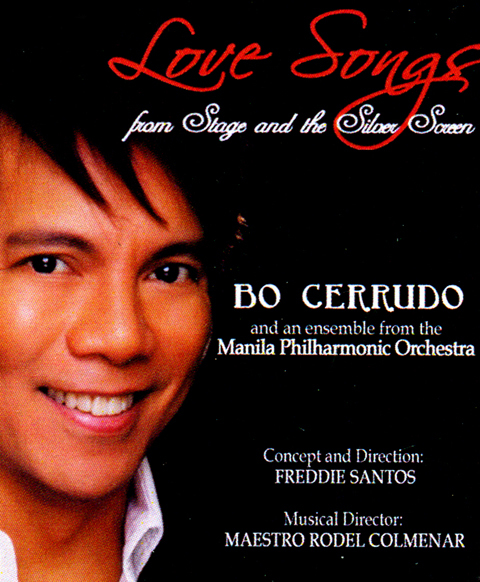 "Love Songs from Stage and the Silver Screen" featuring Bo Cerrudo and the ensemble from the Manila Philharmonic Orchestra. 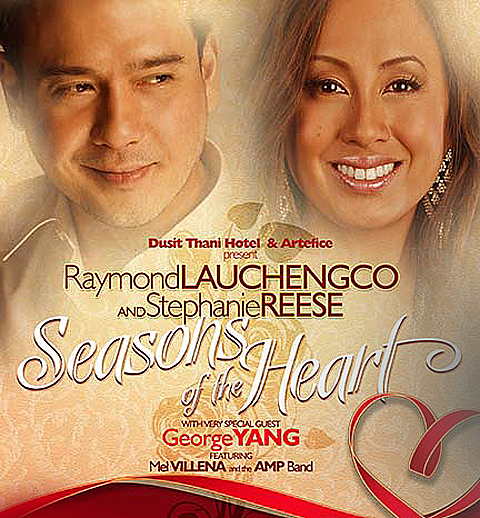 Ticket Prices: Php2,000; Php1,500.00. 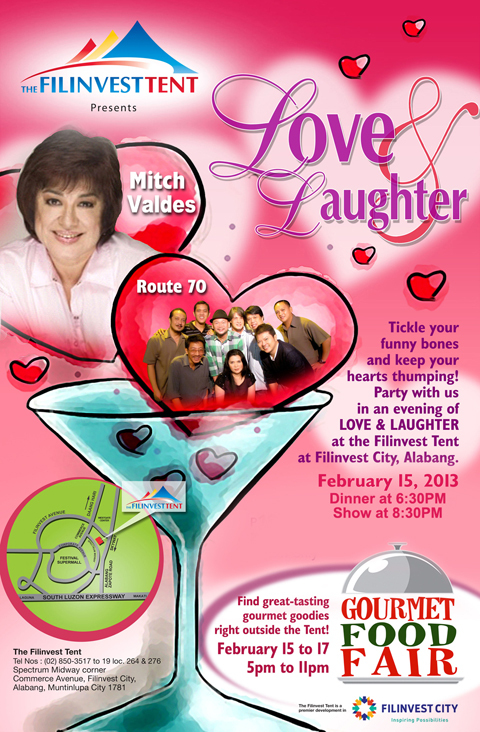 For ticket inquiries please call 721-2949, 721-6726. 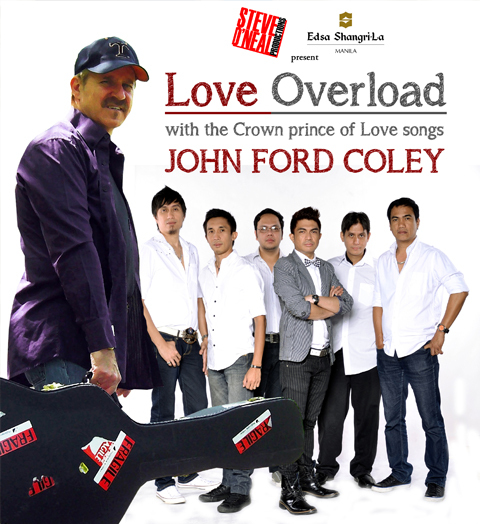 There are many options to go for a valentine concert. Wow, that's a diverse list. I laughed when I saw Psy's banner. That is quite romantic! LOL.